Here comes the rain in SoCal and everyone’s talking about it – it’s a “storm,” the “rainpocalypse,” an excuse to stay home because freeway denizens don’t know how to drive when the road is wet. When I grew up in south Florida, a “rain storm” was when you couldn’t see the hood of your car, so instead of going 80 on the Interstate, you went 70 because you figured everyone else had pulled off the side of the road. No, I am not exaggerating. Those summer thunderstorms in Florida were a daily occurrence in the hot season, and during the big downpours you really couldn’t see the end of your car hood. Arizona Governor Jan Brewer has vetoed the so-called “religious freedom” bill that would have, in effect, legalized discrimination. The bill was prompted, in part, by some business owners who did not want to serve gay customers. She had been facing enormous opposition over SB1062, some of it coming from Republicans, certainly from Democrats, and a lot of it from big business. Also, she can see that in state after state gay marriage bans are being struck down by judges who were appointed by both Democrats and Republicans. The tide of history is moving toward national recognition of gay marriage, and to try and swim against that tide was going to be enormously expensive and ultimately unsuccessful. There would have been boycotts, court challenges, and lots of bad will generated for Arizona. This is one of those cases where it was the right decision for financial as well as moral reasons. 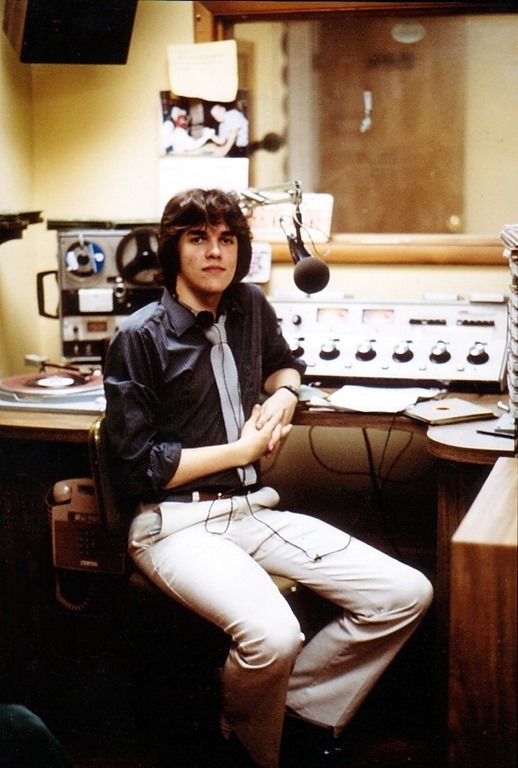 I started in radio when I was still in high school. Someone asked me today why I’ve been doing it for so long — from being a music DJ, to being a programmer, to creating formats, being a news anchor, being a host… the simple answer is love. I love talking. I love talking on the air. Everything else is just details. It all boils down to a microphone, a pair of headphones and a transmitter (or a web server). The rest is window dressing. I had plans this weekend. But Netflix had other plans. Netflix made the 2nd season of “House of Cards” available on Friday – all 13 episodes of it. It’s how they did the 1st season and all their original series. So, helpless before the big screen altar, I started the binge on Saturday and managed to get through the season by Sunday morning. The final episode ended EXACTLY the way I thought it would, and in fact the final shot was just as I had pictured it, but it was still loads of fun getting there. It was the perfect way to end the series. And late last year the producers had said that House of Cards would end with the 2nd season. But we all know how the industry works — HoC is such a huge hit there’s no way Netflix would let it go or the show’s producers could walk away from what I’m sure is an ungodly amount of cash to bring it back, and Netflix announced on February 4 that there will indeed be a season 3. A few days ago I posted a video that was quickly going viral – a GoPro camera falling out of a plane, into a pig pen, and then getting attacked by a curious pig. The video already has more than six million views. Almost immediately people cried “Fake!” But no less a skeptical expert than Phil Plait did a little digging around and as far as he says he can tell, the video is for real. Read his analysis on Slate.com here. I heard from so many people, not just on social networking, but when I talked about Cecil on the air, and so many of you responded. I thank all of you. We love our pets so fiercely because it’s an unconditional love utterly devoid of falsehood. Our dogs and cats — and whatever kind of pet you have — are pure, in the deepest sense of the word. Their love is completely unstained. With people we have to negotiate minefields and baggage… I’m not saying that’s not worth it too, because loving people can be the hardest but most rewarding (and sometimes the most painful) thing… But with animals it’s all nonverbal, it’s pure, it’s all idealized simplicity that exposes where we are with absolutely no hiding. Pets bring us back to the unadorned child inside all of us. So no matter how old we are we love them in the exact same way children love them. Is it any wonder that animal therapy helps so many people who are sick, or lonely, or facing death? A pet’s love reminds us that we can be as clean and carefree as a child again, that we can love as a child loves, no matter how old we are. 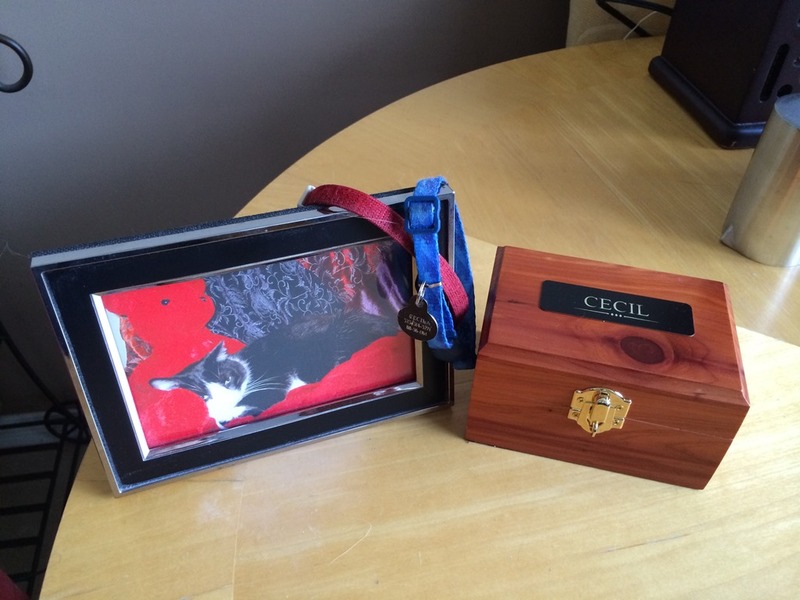 I picked up his remains and brought him home for the last time Tuesday. He’ll always rest next to Orson.